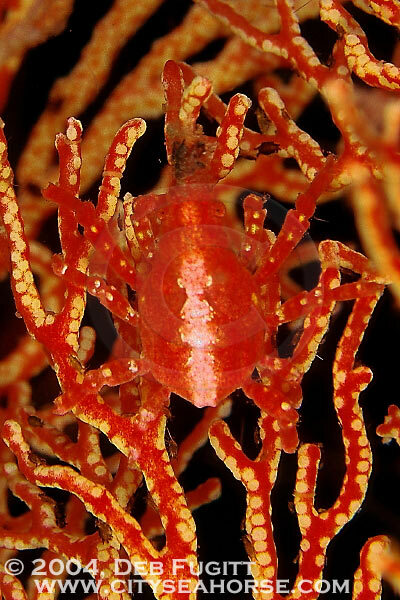 Several cool little Xenocarcinus conicus (spider crabs) blended in beautifully with the red gorgonian where they lived. This photo was created on a night dive in Misool, Raja Ampat islands, Indonesia. The crabs had a wonderful time eating the worms that were attracted to my dive light. Nexus housed F4, 105mm lens, Woody's diopter, 2 Sea and Sea YS-120 strobes.